France is the largest country in western Europe and is a leader in intellectual trends, the fine arts, fashion and culinary arts. There are four data sets that have been incorporated into DNA Consultants’ method. 1) The French population data represent profile frequencies reported by Genetic Testing Laboratories, Las Cruces, NM. 2) The France- North population data represent DNA samples from 200 randomly selected individuals from Northern France (Lille). Samples were provided by the database release sorted by marker and country of the European Network of Forensic Institutes. 3) The France- South population data represent DNA samples from 335 randomly selected individuals from Southern France (Toulouse). STR frequencies were reported in the ENFSI/STRbase 1.0 database release of the Working Group of the European Network of Forensic Institutes STRbase Project (Frequencies). 4) The France population data represent DNA samples from 208 randomly selected individuals from all regions of France. STR frequencies were reported in the most recent European database release of the Working Group of the European Network of Forensic Institutes STRbase 2.0 Project (Frequencies). 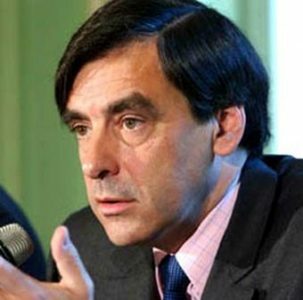 Photo: Francois Fillon served as Prime Minister of France from 2007 to 2012. He comes from Le Mans. Source publication: French (population 351): population data from Genetic Testing Laboratories, Las Cruces, NM, France- North (population 431): ENFSI, France South (population 432): ENFSI DNA WG STR Population Database v. 1. (strbase.org)., and France (population 433): ENFSI DNA WG STR Population Database v. 2. (strbase.org).